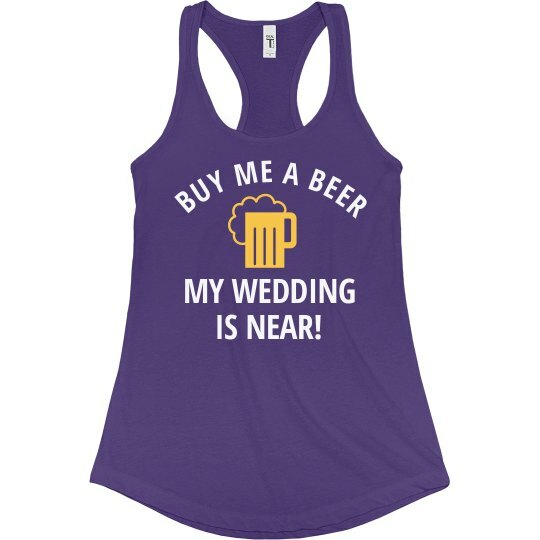 This "Buy me a beer, my wedding is near" with beer mug design is great for any bride to be! Get this for your bride-to-be for a one of a kind piece for your bachelorette party! Custom Text: BUY ME A BEER | MY WEDDING | IS NEAR!